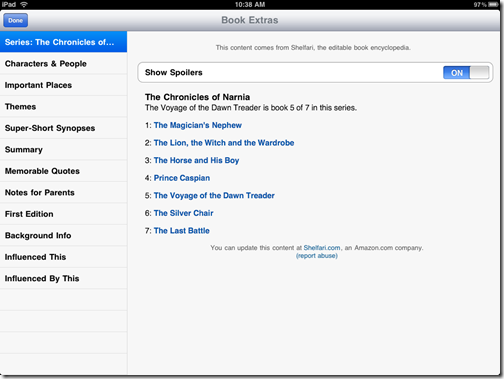 Amazon recently updated it’s Kindle App for the iPad and iPhone. 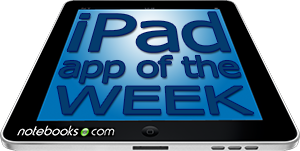 Even though it may be the killer app for the iPad, we’ve never featured it as the iPad App of the Week. 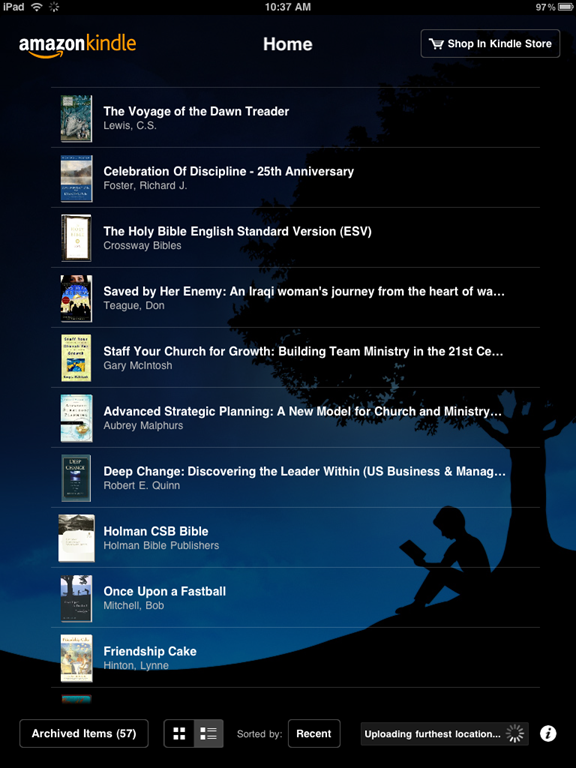 The new update gave us the perfect opportunity to show you the app that makes the iPad the best eReader on the market. 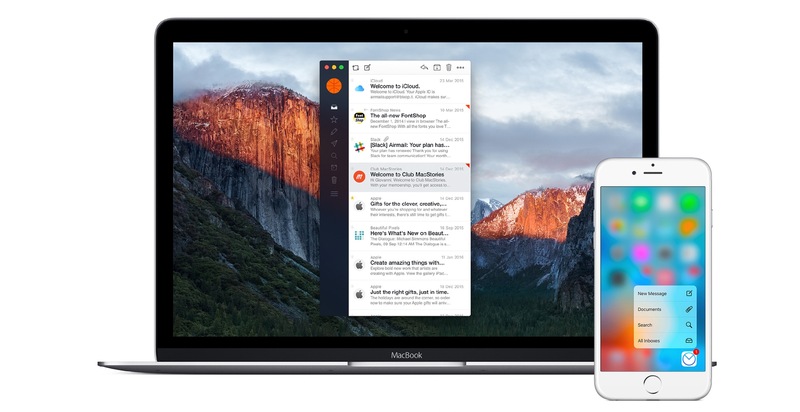 It is so good, that we decided to give you a bonus iPad App of the Week. 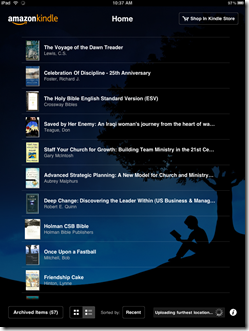 The Amazon Kindle App is an eReader that gives iPad and iPhone users access to the many thousands of books available in electronic format from Amazon. The Kindle is a hardware eReader that I actually like a lot. 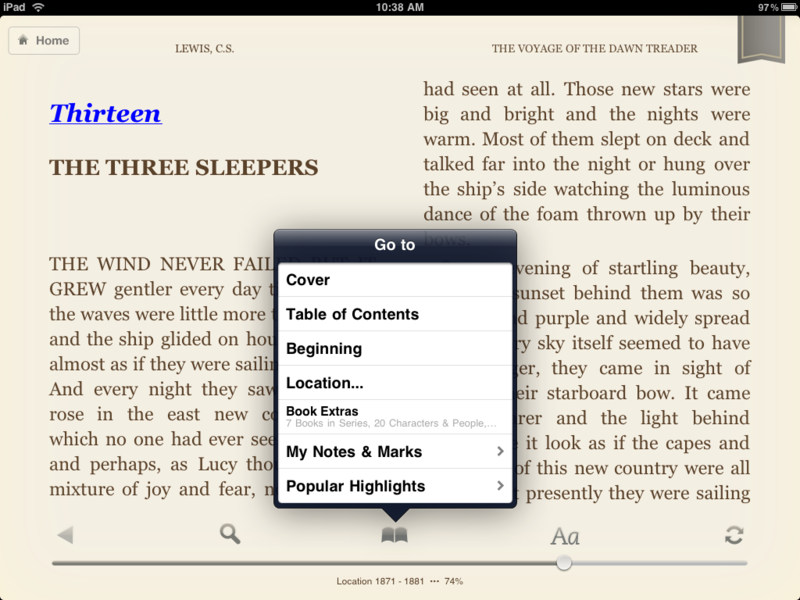 But the versatility of the iPad makes it my preferred solution for reading eBooks. 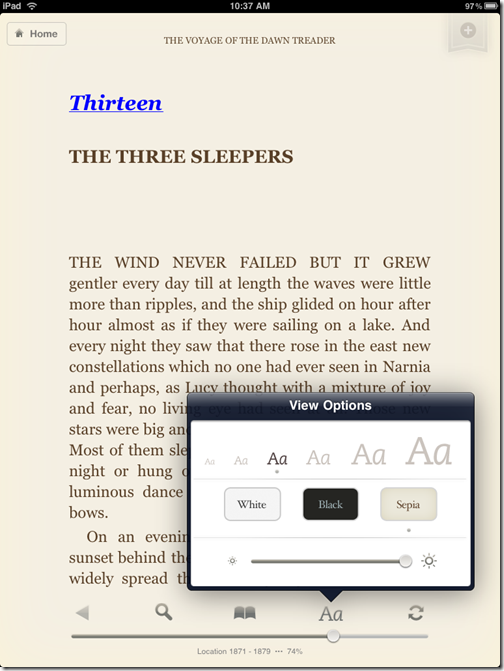 The Kindle App is an attractive eReader that doesn’t get in the way. 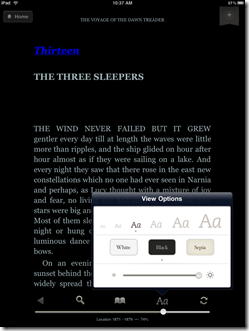 It just serves up eBooks in a useful enough format to help readers enjoy their books without trying to be too book-like thus getting in the way, like Apple’s iBooks app. 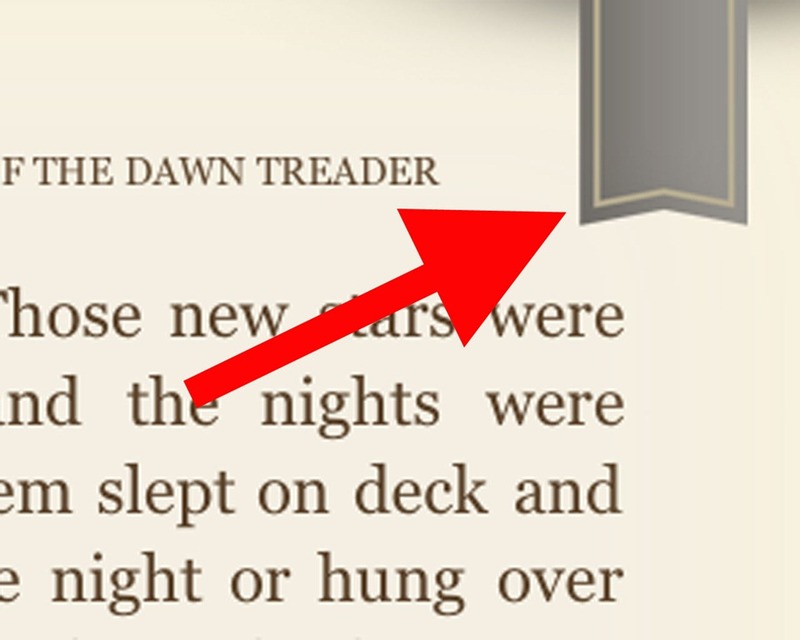 The iBooks app animates page turns, which is pretty, but also slows things down sometimes. The Kindle App just does a nice job of displaying books. 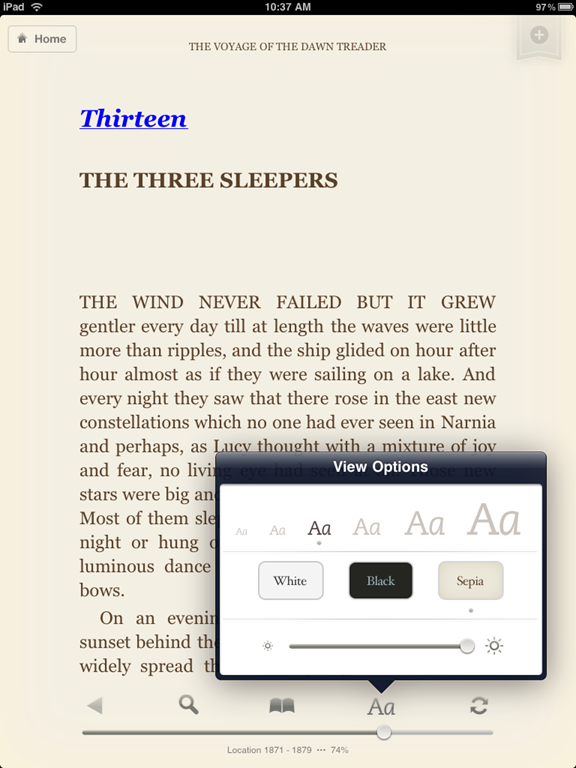 The app will display the pageâ€ in three color modes white background with black text, sepia background with very dark brown text, or white text on a black background for reading in low light. 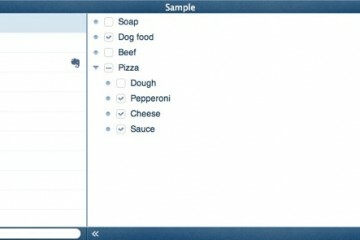 The app will also allow users to select from one of six text sizes. An update awhile back added two to the original four selectable sizes. The different text sizes makes it easy to read whether the reader likes a lot of tiny text or needs very large text because of vision impairment. 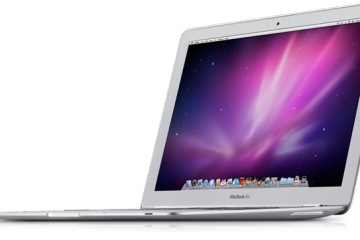 Users can also control the brightness with a slider ranging from very dark to very bright. 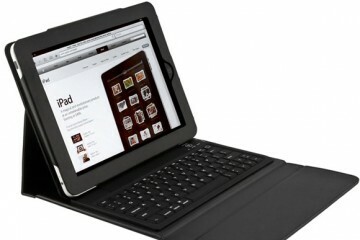 Lowering the slider will also increase battery life of the iPad. 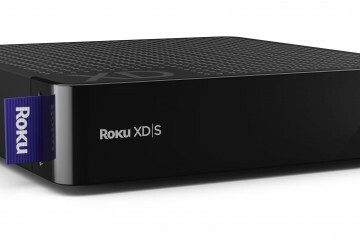 This week’s update added two cool new features. 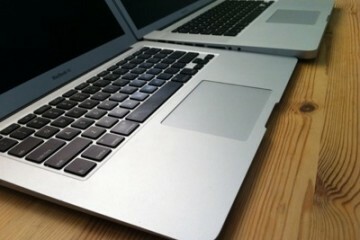 The first one is a two-column mode when the iPad is in landscape mode. 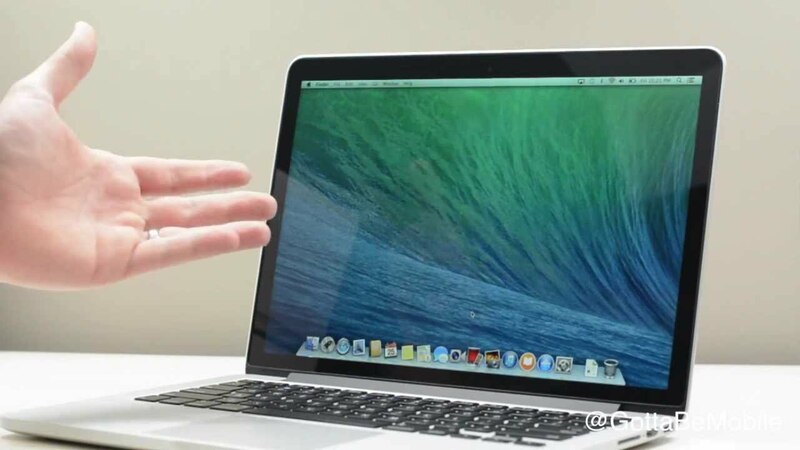 Experts say that long lines of text are harder for the eyes to track to the next line slowing down the reading process. Adding a second column shortens the line of text and for most people speeds up reading. The second new feature is the Book Extrasâ€ entry from the Go to menu. Book Extras are like the DVD extras for movies. They are extra tidbits of info about the book taken from Shelfari.com. 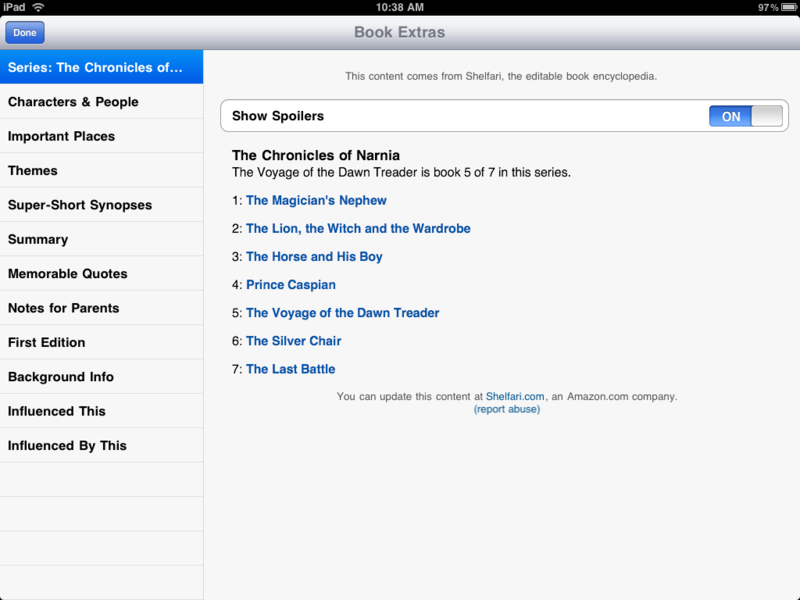 Shelfari is a site that allows readers to add information about their favorite books to the database. Readers can find things like a book description, a short summary of the plot or nonfiction content, the characters or important people in the book, quotes, settings or places, and other information. 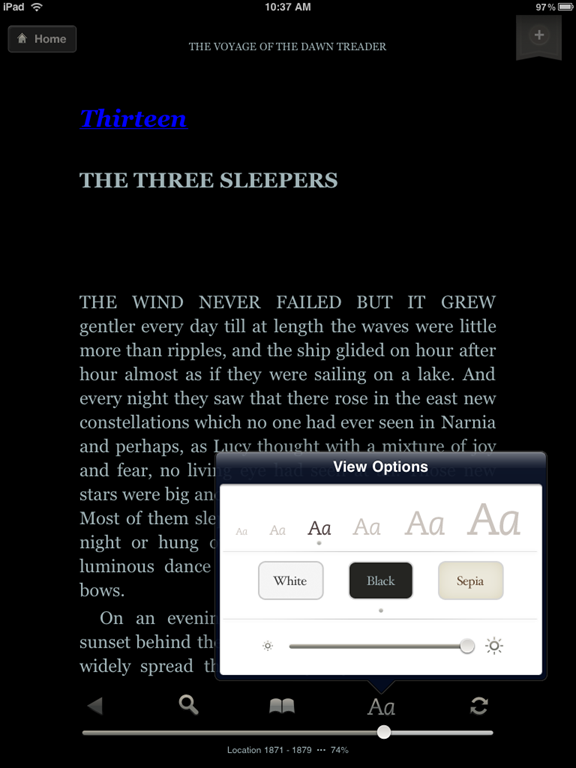 Now this is accessible from within the Kindle App. One person I showed this to called it CliffsNotes for Kindle books. This could be a big help to students or members of a book club. There is not enough information to keep lazy students from having to read the book to pass their test, but it can help. The other great features of the Kindle App that are not new, but make it an excellent eReader is the ability to bookmark pages, add highlighting and margin notes. 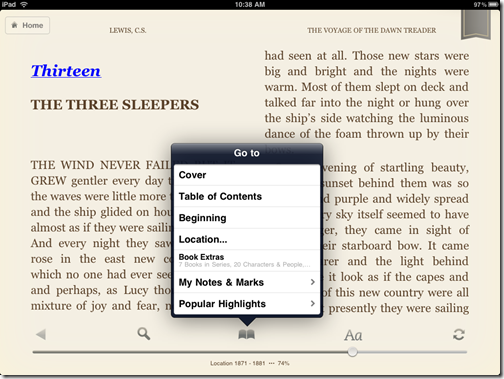 Also the app will underline passages that are highlighted by a large number of other readers of a book. It is like buying a used book with the important passages pre-highlighted. This can be turned off. Also the app will sync all of this with other the app on user’s other devices, like the iPhone, iPod Touch or a PC version of the app. One weakness is that not all books and content is available in Kindle format. Things like periodicals, which can be read on the hardware Kindle reader are not accessible in the app. This never made sense to me since many magazines have color pictures and would look better on the color iPad screen than on the monochrome hardware Kindle reader. I am glad to be a visitor of this pure site, thank you for this rare info! I sort of discovered your web site accidentally, but your blog captured my eye and i also thought that I might post to show you that I like it. My brother suggested I might like this website. He used to be entirely right. This publish truly made my day. You can not consider simply how a lot time I had spent for this information! Thank you!